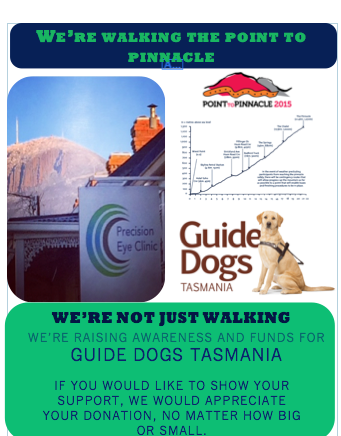 This year the team at Precision Eye Clinic are going to be walking the Point to Pinnacle of the 15th of November. 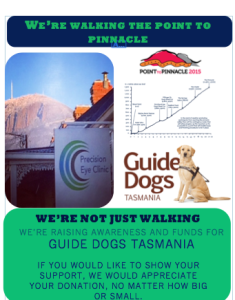 But we are not just walking – are aim is to fundraise for Guide Dogs Tasmania. 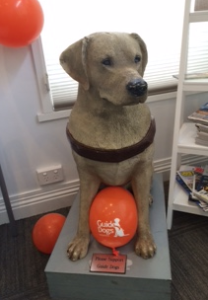 This great local charity doesn’t just provide Guide Dogs but a whole range of services to help with low vision.